Thank you so much for your valuable support along the way and your remarkable patience. You were a great team to work with! We knew we could trust and rely on you and that meant a lot to us. We hope to continue working with you, and we will certainly spread the word! I am very happy with the professionalism displayed by Balance Group throughout the process. Your expertise in negotiating the sale of our home was notable and I wanted to thank you personally for that. You were just brilliant. I know our friends have just listed with you again and they are also so happy with your expertise. I would recommend you to anyone. Balance Group played an integral role in the purchase of our first apartment together as a married couple. They walked us through all the steps and educated us on how to be smart home buyers. They really listened to what we wanted and found the right places to show us. When we found a property we liked we felt that we had the knowledge and team behind us to make informed and confident decisions. We moved in just over one month ago and could not be happier. Thank you Balance Group! Thanks to Balance Group for helping us transition from “city” to “suburb” residents. Very knowledgeable on pre-sale and new construction contracts and conditions. We appreciated the flexibility and continued support through a move that was very big to us! A sense of humor that goes along with great understanding of the business is always a plus. I want to thank you for such a well done job. We appreciate all that you did to make the sale go so smoothly. We’ve played the real estate game a few times over the last 10 years and, while the Vancouver market can be a very stressful beast to deal with, the amazing team at Balance Group has made both the selling and buying of a couple of properties into a painless and enjoyable experience! Both times that we’ve sold properties with Balance Group we sold really quickly and without any trouble. The whole team is easy to talk to, professional, conscientious and extremely knowledgeable. We’d be happy to recommend their services to anyone who is considering selling or buying in Vancouver! Well, I picked up the keys Monday afternoon, so I guess it is really happening. Tim and I are so grateful to all of you for your professionalism, business acumen, kindness, etc. etc.. I always knew that would be true of you Allyson, but what a treat to find out that you have such wonderful partners! This is your business and you go through this with many clients, but as you know, we haven’t done it much in the last 27 years. You made what could be a very difficult process as painless as possible and best of all, you got us great results in what we consider to be record time! We sing all of your praises to anyone who listens, and believe me we know many people who are very interested in how it went for us: friends, clients and neighbours. 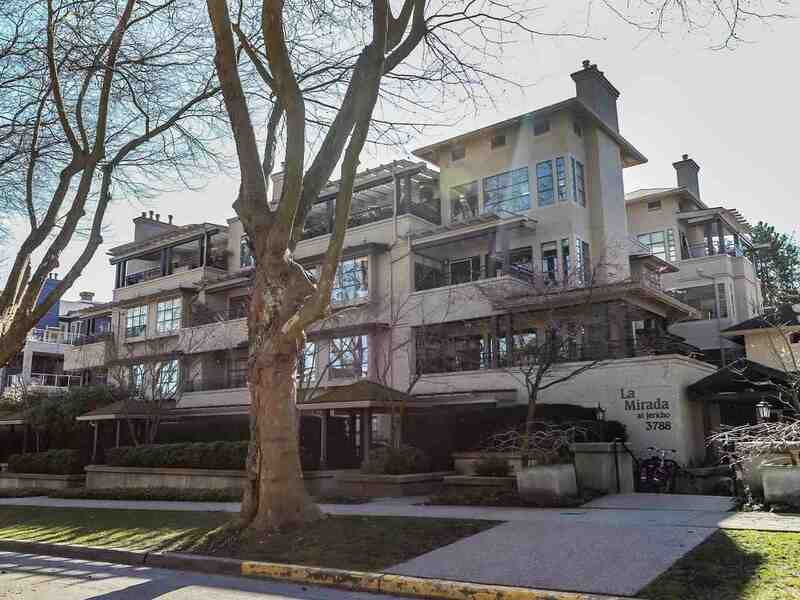 The Balance Group Team has worked with my family over the past 15 years & provided great guidance, from the purchase of our first duplex in Kitsilano as immigrants in 1996 till I downsized and sold my condo on Commercial Drive this past year. Some 6 transactions in all! Your knowledge of the market & network of tradespersons is a real bonus. My daughter looks forward to calling on you when she returns to Vancouver to buy her first residence. How often do you find yourself experiencing “extraordinary”? Now how often do you hear that word connected to real estate? In the months we spent with the Balance Group that’s exactly what we experienced – the extraordinary. And when the time came for the really hard stuff, like the move, and the closing, and the expectations after the deal closed, the word I still think of is “extraordinary”. They anticipated our concerns, our challenges, and our needs, and they also proactively sought out properties with our best interests in mind, shielding us from stuff that could be a problem down the road … extraordinary. Stop looking for realtors you can trust, because you’ve found them in Balance Group. 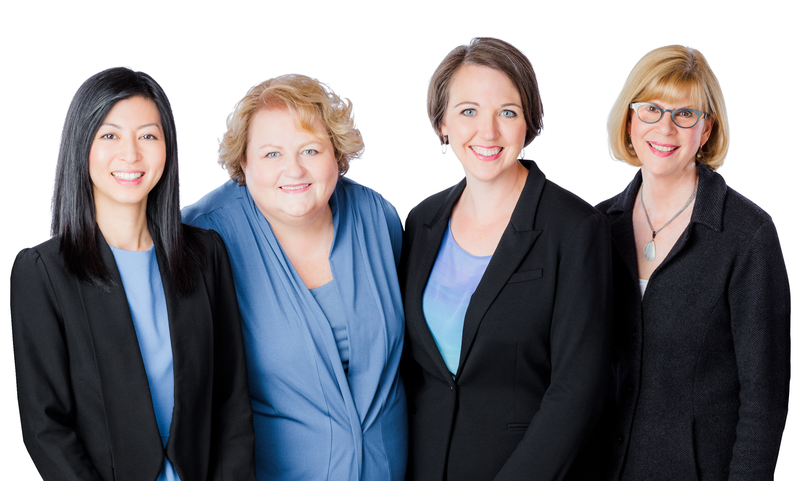 I have worked with Balance Group – Allyson, Brenda, Deborah, Marj and Ali – on several occasions as a client as well as referring clients to them as a Realtor in Victoria and my experience and that of my clients has always been extremely good. The market knowledge, attention to detail and constant communication ensure a very smooth and well organized transaction and they are all just a real pleasure to deal with. I will continue to recommend Balance Group to my clients, family and friends. Great work, ladies! I have worked with Balance Group three times in the past seven years, both selling and buying. First we sold my large family home and then I’ve bought, sold, and bought two town homes. The funny thing is, I’m not a good mover, I’m quite emotional because I literally “put down roots”, but I have found Allyson, Brenda, Marj, and Deborah to be exceptionally good at listening to my fears, addressing the real issues, and finding the answers I need to make the best choices. I have always felt that they want the very best for me, and will do all the due diligence to make sure that my home is sold at the top of the market and the home I buy is the best investment, as well as the best fit for my needs. They are phenomenal realtors and negotiators, as well as outstanding people who work tirelessly and carefully for their clients. I felt extremely confident having the team at Balance Group as my realtors and always felt they had my best interest in mind. They did an incredible amount of research on the community I bought into in order to ensure that future development plans were unlikely to impact me, as well as a thorough review of the Strata minutes. I felt confident in making my decision after the amount of time and effort they expended. And they definitely went above and beyond what I thought a realtor would do. I would definitely recommend them to other home buyers – they were efficient, highly competent and very easy to work with! Just the thought of looking for a new home for me and my family was exciting and terrifying. We wanted to make a choice that we’d be happy with for many years, but we’re not experts. Working with the Balance Group team was great. They asked good questions, listened to my rambling answers and helped me figure out what would really work for us. Almost three years later, we love our house and our neighbourhood, and expect to live here for many years. With the help of Balance Group, we figured out what really mattered and found our home. … I wanted to thank you all collectively for the professional and exemplary service you performed for my wife and I. You first won our business by sending us weekly updates on the listing and sale of condominiums on the west side of Vancouver for more than 1 year. You provided information free of charge and generously offered your time and expertise without pressure or reward. Eventually when we made a decision to sell our 2 condominiums on 7th and Alma you took charge of the listing right from the beginning to the final sale of each of the properties. Collectively, you were extremely supportive, knowledgeable and demonstrated a very high level of real estate marketing expertise. In the final analysis, the true merit of a good product is “would I use the service again or recommend them to a friend?” The answer is unequivocally YES! Thanks for the great job and continued success. To the Balance (“Because we’re that good”) Group, my eternal thanks for all the wisdom, energy, shrewdness, and kindness you devoted to my three files. You completed all three within a year of my mother’s death. March 1, 2012 marked the beginning of a process which would inevitably be arduous and heartbreaking in several ways. However, your unfailing good humour and willingness to listen made the yearlong journey an uplifting one, too. So congratulations on your accomplishment of my sale/purchase/sale trifecta! From Feb 19, 2013 I have been looking forward to wholeheartedly enjoying my new home, my new life. I think there’s a possibility, perhaps even a probability, that I’m going to be… happy. I’m going to like getting used to that. The best deserve only the best. Balance Group did a fantastic job helping us find our first home! They were patient and knowledgeable and really listened to understand what was important to us. They were a real pleasure to work with and always made sure someone was available to help us at every step along the way. We’re so happy with our new home and would definitely recommend Balance Group to anyone looking for a place of their own! Balance Group acted for me recently in the sale of two properties. Their vast knowledge and depth of experience quickly became evident in the level of due diligence and quality of advice they provided all through the listing and sales process. Their professionalism, integrity and negotiation skills resulted in both properties selling in a short time for very close to the list price in a very challenging market. Balance Group also went above and beyond in terms of what I would have expected from realtors in that they accommodated my very busy schedule by greatly assisting in the preparation of both units for sale. I recommend their excellent services without any hesitation whatsoever. The women from Balance Group were so professional, knowledgeable, and thorough with our first time purchase we never once doubted our decisions. They answered every question, and explained every aspect of our purchase. They were always on time for appointments and available anytime by phone and email. Despite the fact that we were first time buyers and not a big sale in relative terms we never got the feeling that we were less important than any other client. We will definitely use them in the future! “Service with a Smile” – We found Balance Group to be a team that truly understands the concept of good service, combining expertise with congeniality, and integrity with initiative. We would recommend this competent, friendly team to any homebuyers or sellers. When we decided to enter the market this year with our existing home, and discussed our plans and needs with Balance Group, they impressed us immediately with their knowledge of the market. They guided us expertly through the negotiation to purchase our new home at a price that was fair and affordable. When it came time to put our current house on the market, they met with us to navigate the complicated decisions around price, the preparation of our home, and ultimately around the open houses and the sale. With their skill and input we were able to successfully sell our home at well above the asking price. Balance Group created an environment that was enthusiastic and professional, which resulted in a stress-free, positive outcome for our family. I always thought buying and selling a home was supposed to be one of the most stress-inducing things a family good take on; with Balance group, we were surprised how simple it really could be. We became aware of the Brilliant Balance Group of agents through a friend, who spoke very positively about their knowledge of the market, their skills as deal makers and their honest and upfront manner when working with clients. We found all of these to be true. We engaged Allyson, Marj and Brenda even before we needed an agent, at the time when we were building an investment home for sale in the neighbourhood where we lived. We consulted them on design choices, style preferences, expected returns when choosing features such as appliances and flooring. Their sense of what buyers expect to find, what they hope to find and what they are pleasantly surprised to find in a home was impeccable. They were extremely helpful in this regard. The listing of our house unfortunately coincided with the onset of the collapse of the American real estate market and the consequent global recession. The advice given by these agents showed an understanding of market issues that stood up under the most difficult of situations. Considerations such as mortgage rate projections, rental markets, costs to maintain a property in peak sale condition and market pressures were handled with insight. When we sold our house, we were very pleased with both price and duration on the market. We would recommend the Brilliant Balance Group to anyone looking for agents who will provide knowledgeable service framed by integrity and insight. Buying a condo was the biggest decision we had to make, not only because of the money involved but also because of what it would mean to realizing the lifestyle we dreamt of having after retirement. Through every step of our search and negotiation for a suitable home, as well as the sale of our old condo, you ladies showed nothing but the HIGHEST form of PROFESSIONALISM, DILIGENCE, and EXPERTISE. We are very happy with our condo and wish to thank you once again for finding it for us. Our very best wishes for your continued success.